Ramadan falls on number nine in Islamic calendar, which follows the lunar calendar. After visually crescent moon sighting, all Muslim Ummah observes this month as a month of fasting. The month lasts 29 or 30 days based on crescent moon sighting for the month of Shawal, which first three days are celebrated as Eid-ul-Fitr, a Muslim festival after Ramadan. Ramadan is a very special month for me being a Muslim. It gives me an opportunity to connect myself to my creator Allah Subhanahu Wa Ta'laa. Cleansing my soul and re aligning towards God. To thank him for all his infinite blessings which usually we take for granted. To show my devotion via worshiping and praising him. Following all the set rules of Islam. It is a spiritual time during which one must abstains from things which are normally permissible. Ramadan is to remind myself the meaning of my existing and why I have been sent to this world. Every living thing in this entire world has been sent to play their part, some very small almost negligible, which may not have direct effect on our lives but trust me they make our lives much more livable, and some major... Minor or major, it is utmost important to work for the betterment of human race. Ramadan is not only about restraining ourselves from eating and drinking only for 30 days. However, it is a practice to learn self-control, self- discipline and sacrifice. To show empathy towards those who are less fortunate and does not have access to the necessities of life. This year Ramadan is very hot in some parts of the world and also the longest fasting time. It may makes us thirsty, grumpy or irritating and for some it may not be the spiritual oasis but an agony, to be endure. However, we just have to struggle through. It is character building, if nothing else. 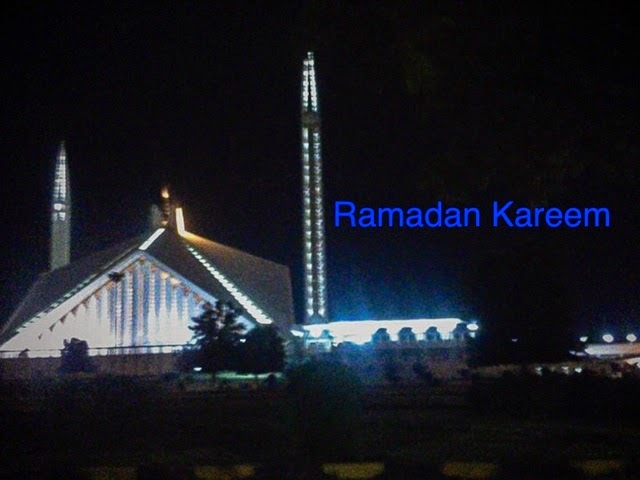 Wish you all a very happy Ramadan Kareem. May Allah gives us strength to overcome our weaknesses. JazakAllah, Happy Ramzaan to u as well Stay blessed!